During my 15 years as an executive coach, I have worked with hundreds of individuals and teams across the public and private sectors. These range from Directors General and their senior teams at the European Parliament, Foreign Service and Commission, to Board-level executives and their teams in the private sector. I have worked in Europe and the USA, and with more than 20 nationalities. Before becoming a coach, I worked in mainland Europe for 16 years, primarily in publishing and IT. 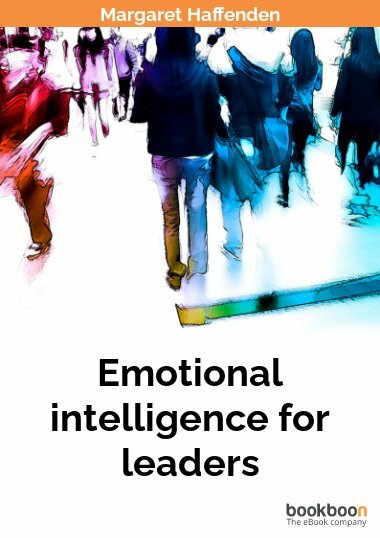 As a coach and facilitator, I focus on developing the emotional intelligence of leaders and teams. This is particularly important at certain crucial times within an organisation: when a leadership team is formed and needs to be sustained; when board composition changes; when a new direction must be set and culture changed around it; when cost is taken out through redundancy initiatives; when people rise through the ranks to lead bigger teams or a larger portion of the business, for example. All such events, and many more, have an emotional dimension that can cause havoc if not recognised and handled with emotional intelligence. My clients learn to understand and deal more effectively with the emotional dimensions of business life. They become aware of the assumptions, beliefs and emotional buttons behind their behaviour and the impact such behaviour has on their environment. They learn to challenge and change these hidden factors and generate different and more effective approaches and results. This can make the difference between fostering an atmosphere replete with anxiety, friction, lack of trust (and the waste of time and money that goes with it), or creating the conditions to talk about what matters, deal with difficult issues, make good decisions and build commitment. I am also an ORSC (organization and relationship systems)-trained coach, and with partnerships and teams I take a systemic approach, bringing in the concepts of Relationship Systems Intelligence. This puts the focus onto the team or relationship as a single entity, created by those who are part of it, and generates a sense of co-ownership and co-creation.